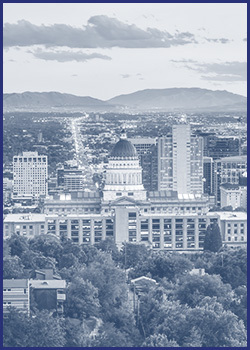 We are Salt Lake City’s home for all industrial, commercial, and residential HVAC services. Our HVAC company takes pride in providing quality service to the residents and businesses of our great city with superior workmanship and expertise in all things heating and cooling. There is no job too big or too small, we maintain, service, repair, and replace all heating and cooling systems! Check out the different HVAC services we offer and get your free estimate today. Whether you own a commercial retail store, a restaurant, or provide a service to the people of Salt Lake City, our commercial HVAC services can help take care of the heating and cooling system that helps keep your business safe and comfortable for your guests and customers. We have the expertise you need for commercial HVAC contract agreements. Let our HVAC technicians work for you. Here at Service Mechanical Controls, we employ only fully certified and qualified HVAC technicians to repair, maintain or install the commercial heating and cooling that your industry requires. Whether you produce technology, or must maintain a clean room, use our commercial HVAC service technicians to install or upkeep your HVAC system for a fully efficient and industry compliant building. Our residential HVAC service provides the maintenance and home heating and cooling repairs for your home, including maintenance of heating and cooling systems or installation of furnaces and air conditioners. When you’re looking for a residential heating and cooling service in Salt Lake City that can do it all, Service Mechanical Controls is the HVAC company for you! Keeping your heating and cooling systems running like new is important to the success of your business and the comfort of your home. With professional, high-quality performance from Service Mechanical Controls’ skilled HVAC Contractors, you can rest assured that your heating and air conditioning systems will perform in peak condition for years to come. Our maintenance service contracts help you ensure that your furnace and air conditioner will continue to work efficiently and save you from costly repairs. No matter what HVAC services you need, call our HVAC technicians! Service Mechanical Controls is a full service HVAC contractor company that offers a wide range of HVAC services for all of your HVAC and control needs. Our highly trained HVAC technicians have a minimum of five years technical training and are available 24 hours a day, 7 days a week, 365 days a year. To keep your commercial or residential HVAC system running smoothly and functioning at its peak all year long, you should schedule routine HVAC service and maintenance. At a minimum your air conditioner should be serviced once a year, before the cooling season begins — late winter or early spring — and your furnace should be serviced once a year before heating season — late summer or early fall. Routine maintenance should include a cleaning and thorough inspection. If any deficiencies are identified, they should be fixed and any optional optimizations should be done to ensure your HVAC system is working at full capacity to help save on your energy bills. 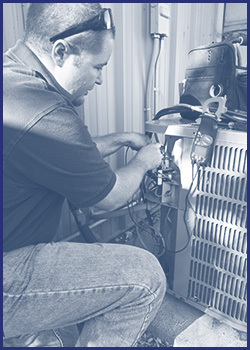 Service Mechanical Controls is proud to offer HVAC maintenance contracts. When you enroll, we will remind you of when service is due and help you schedule a time that is convenient for you. We will perform all routine HVAC service and let you know if anything needs to be repaired. If you do require repairs, your maintenance contract offers HVAC repair discounts. Trust our HVAC service specialist to keep your HVAC system in tip-top shape! Our maintenance contracts will help ensure that heating and cooling specialists will help you identify and avoid any issues that may become serious down the road. Our HVAC professionals will identify and repair small issues before they become major problems. Regular maintenance will ensure optimal efficiency of your heating and cooling systems. For most heating and cooling appliances, regular maintenance is required to uphold warranties. Our valuable HVAC service agreements pay for themselves and ensure your comfort is maintained. Call us at Service Mechanical Controls of Salt Lake City for your free estimate and to sign up for your HVAC maintenance contract service agreement today! Keep your air vents open and clean- this helps to promote optimal air flow and allows your HVAC system to not work as hard. Keep the area around your vents clear- this also helps to promote optimal air flow. 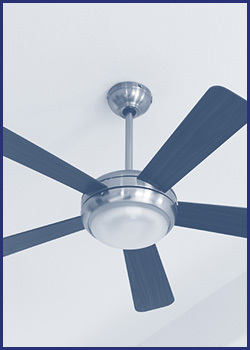 Install ceiling fans- this is not to suggest using fans instead of air conditioning, but ceiling fans can help move air around your house so that your air conditioner doesn’t have to work as hard. Program your thermostat- this will allow you to set a comfortable temperature while you are home and slightly less comfortable when you’re away, meaning your HVAC system doesn’t have to work consistently. Adjust your thermostat- every degree less that your HVAC system has to work to make your home, you’ll save about 1% on your energy bill. So in winter, drop the temperature a few degrees and in summer, raise it. Conduct routine HVAC maintenance- identify issues that are making your HVAC system work harder than it needs to. Change air filters regularly- the less resistance, the less work your HVAC system has to do. Replace your HVAC system- if your system is more than 20 years old or not performing well, replace faulty HVAC appliances. Call us at Service Mechanical Controls for more energy bill savings tips and to schedule your HVAC service and inspection. Salt Lake City is home to hot, dry summers and cold, snowy winters. Our residents have the opportunity to rock climb and traverse sand dunes all summer and snowmobile and ski all winter. Because of the extreme differences in temperature throughout the year — an average of 56 days a year that climbs to over 90 degrees and 127 days that fall below freezing — it can be incredibly uncomfortable to live without a properly functioning heating and cooling system. While you may try to save money and turn on ceiling fans and open the winter in summer and bundle up in winter, you may be pleasantly surprised to find that a quality heating and cooling system can not only make you more comfortable, but can end up saving you money in the long run. If you are a commercial business owner, you will want to ensure that your business is cool and comfortable which will encourage your customers to visit you and stay longer, which translates into revenue. When you invest in a quality air conditioning system in Salt Lake City, you can come home to escape the intense desert sun in your cool, comfortable home five months out of the year. Because air conditioners work in conjunction with your furnace, installing an air conditioner at your home is a very simple process. Snow begins falling in November and doesn’t let up until April, which means that living without a properly functioning heating system is absolutely out of the question. If you are a commercial business owner, you’ll need to provide heat to create a safe working environment for your employees as well as a comfortable experience for your customers. Your home furnace must remain in optimal condition to ensure that your family and your home plumbing system doesn’t freeze! Maintaining a furnace is relatively easy and inexpensive, and with Service Mechanical Controls, it is even easier. In many places across the country, homes and businesses can elect whether or not to install either a heating or cooling system. However, here in beautiful Utah, we get the cold, snowy winter as well as the sweltering, desert summers. For homes and businesses in Salt Lake City, both heating and cooling are essential to comfort, nearly year-round! For many people, they only think about their HVAC systems at the beginning of the season when they turn them on for the first time and then when something goes wrong and things start getting uncomfortable! Avoid a breakdown and help keep your residential or commercial HVAC system running smooth all year with some routine maintenance. *note- this should be done prior to using your cooling system for the first time in the season! *note- this should be done prior to using your heating system for the first time in the season! Routine maintenance helps to ensure that your systems remain operative, without failing. When the parts are inspected and cleaned, you can better identify small issues before they become large problems and it helps to extend the life of your HVAC system considerably. Most of these things you can do yourself, but if you want the total package and want to reserve your do-it-yourself gumption for other projects, give the HVAC experts at Service Mechanical Controls a call today! The good news is, most heating, ventilation and cooling (HVAC) systems are built to last for one to two decades. The bad news is, HVAC equipment is some of the most expensive components of a home or building and no one gets excited when they need to be replaced. Unfortunately, because these powerful systems are capable of working hard for years, without intervention, most people pay them no mind. With just a little bit of attention and effort, you can easily extend the life of your heating and cooling system, well beyond the “typical” lifespan. Set the thermostat at a reasonable level and adjust for comfort. The closer the air is set to the outside temperature, the less your HVAC system will have to work. Of course, that doesn’t mean that you should be uncomfortable in your home, but you should consider setting your thermostat at a reasonable temperature — heat between 66 and 70 degrees in winter and air conditioning between 73 and 77 degrees in the summer. Temporarily adjust temperatures for comfort when you are home or sleeping. When you are out of your home for longer stretches, consider setting the temperature to the upper and lower limits of the comfort zone since you will not be inside. Create a clearance of at least two feet around outdoor air conditioner units and heater pumps and regularly check for and remove debris. This allows the air to move freely, which prevents the machines from overworking. Replace your filter regularly. Check it monthly and replace as needed or at least every 90 days. If you have pets, you will likely need to change the filter every month. Keep as many vents open as possible. This allows the air to travel as intended and puts less strain on the system. If individual vents are closed for comfort, avoid closing more than 20 percent of them and reopen when there’s no one in the room. Keep the air conditioner condensate drain clean and clog-free. Annually, pour a cup of diluted bleach down the drain to clear any growing mold or algae. Turn off water supply to the furnace humidifier in the summer. Prior to turning the heater on in the fall, replace the humidifier wick filter and set the humidistat to between 35 and 40 percent. Not only will these tips help to extend the life of your HVAC system, but it will also help you keep your energy bill lower, saving you money now and in the future! If you would like help performing any of these tasks or would like to set up an HVAC service contract to have it all taken care of for you, contact the experts at Service Mechanical Controls today!